The major research efforts focus on the manufacture and performance test of ceramic membrane fabricated by plasma spray coating technique. Various surface modification techniques are adopted to prepare inorganic membranes for different applications. Our present interest lies on the study of mechanisms of microfiltration for soft gel particles, affinity ultrafiltration for protein mixture separation and nanofiltraton for wastewater treatment. The goal of module design is to build a platform in the center for membrane module design. By utilizing CFD simulation technique and verifying with experimental data, the criteria for optimum design or modification can be provided. The design of spiral-wound and hollow fiber module are currently under conduction. We currently utilize the MD and MC simulation techniques to study the gas transport mechanism through membrane. The next step is to build a multi-scale simulation platform for examining the microscopic mechanism of membrane fouling. 1. Advanced Technologies for Biological Processes and Separation Technologies: (III) Affinity Membrane Filtration for Protein Purification, (PI; #NSC 97-2221-E-033-024-MY3; sponsored by NSC; NT$3,601,000; 2008/08/01-2011/07/31). 2. Study on Integrated Membrane System (1/3), (PI; #98TWC04; sponsored by Taiwan Water Corporation; NT$2,120,000; 2009/10/01-2010/09/30). 3. Study on Fabrication of Macroporous Ceramic Membrane Using Plasma Spray Coating Technique, (PI; #NSC 99-2221-E-033-039-MY3; sponsored by NSC; NT$ 3,662,000; 2010/08/01-2013/07/31). 4. Molecular Simulation Study on the Microstructure and Transport Mechanism of the Polymeric Membrane for Dehydration in Alcohol Fuel Preparation Process, (PI; #NSC 100-2623-E-033-002-NU; sponsored by NSC/INER; NT$760,000; 2011/01/01-2011/12/31). 5. Membrane Characterization and Filter Evaluation of Disposable Vent Filter for Medical and Laboratorial Devices Protection, (PI; NSC 100-2622-E-033-003-CC3; sponsored by NSC/Finetech Research and Innovation Co.; NT$1,057,120; 2011/06/01-2012/05/31). 6. Study on Integrated Membrane System (2/3), (PI; #100TWC10; sponsored by Taiwan Water Corporation; NT$2,450,000; 2011/07/01-2012/06/30). 7. Flow Channel Design and Fluoropolymer Membrane Adhesion Technology Development for a Flat-plate Module, (PI; M10000071000304-182/1000520; MOEA SBIR/AquaLab Technol. Co.; NT$2,000,000; 2011/10/01-2012/06/30). 8. Scale-up Design of Flow Channel and Flat-plate Module in a Full-scale Membrane Module, (PI; #1000519; sponsored by AquaLab Technol. Co.; NT$1,500,000; 2011/10/01-2012/12/31). 9. Development of Key Materials, Process and System of Membrane Technology for Energy Conservation and Carbon Capture (2/2), (co-PI; #NSC 101-3113-E-033-001-; sponsored by NSC/NSTP-Energy; NT$16,615,000; 2012/01/01-2012/12/31). 1. Nguyen, T.A.H., H.H. Ngo, W.S. Guo, J. Zhang, S. Liang and K.L. Tung (2013) “Feasibility of Iron Loaded ‘Okara’ for Biosorption of Phosphorous in Aqueous Solutions,” Bioresource Technol., 150, 42-49 (SCI). 2. Liu, K.T., F.L. Liang, Y.F. Lin, K.L. Tung, T.W. Chung and S.H. Hsu (2013) “A Novel Green Process on the Purification of Crude Jatropha Oil with Large Permeate Flux Enhancement,” Fuel, 111, 180-185 (SCI). 3. Lin, N.J., H.S. Yang, Y. Chang, K.L. Tung, W.H. Chen, H.W. Cheng, S.W. Hsiao, P. Aimar, K. Yamamoto and J.Y. Lai (2013) “Surface Self-assembled PEGylation of Fluoro-based PVDF Membranes via Hydrophobic-Driven Copolymer Anchoring for Ultra-Stable Biofouling Resistance,” Langmuir, 29(32), 10183–10193 (SCI). 4. Chen, J.T., Y.J. Fu, K.L. Tung, S.H. Huang, W.S. Hung, S.J. Lue, C.C. Hu, K.R. Lee and J.Y. Lai (2013) “Surface Modification of Poly(dimethylsiloxane) by Atmospheric Pressure High Temperature Plasma Torch to Prepare High-Performance Gas Separation Membranes,” J. Membrane Sci., 440, 1-8 (SCI). 5. Venault, A., Y. Chang, H.H. Hsu, J.F. Jhong, H.S. Yang, T.C. Wei, K.L. Tung, A. Higuchi and J. Huang (2013) “Biofouling-resistance control of expanded poly(tetrafluoroethylene) membrane via atmospheric plasma-induced surface PEGylation,” J. Membrane Sci., 439, 48-57 (SCI). 6. Kang, C.S., Y.F. Lin, Y.S. Huang, K.L. Tung, K.S. Chang, J.T. Chen, W.S. Hung, K.R. Lee and J.Y. Lai (2013) “Synthesis of ZIF-7/Chitosan Mixed-Matrix Membranes with Improved Performance of Water/Ethanol Mixtures,” J. Membrane Sci., 438, 105-111 (SCI). 7. Chang, K.S., K.L. Tung, Y.F. Lin and H.Y. Lin (2013) “Molecular Modelling of Polyimides with Intrinsic Microporosity: From Structural Characteristics to Transport Behaviour,” RSC Advances, 3(26), 10403-10413 (SCI). 8. Hsu, S.H., Y.F. Lin, T.W. Chung, T.Y. Wei, S.Y. Lu and K.L. Tung (2013) “Mesoporous Carbon Aerogel Membrane for Phospholipid Removal from Jatropha curcas Oil,” Sep. Purif. Technol., 109, 129-134 (SCI). 9. Lin, Y.H., K.L. Tung, S.H. Wang, Q. Zhou and K.K. Shung (2013) “Distribution and Deposition of Organic Fouling on the Microfiltration Membrane Evaluated by High-Frequency Ultrasound,” J. Membrane Sci., 433, 100-111 (SCI). 10. Villaflores, O.B., C.M. Hsei, C.Y. Teng, Y.J. Chen, J.J. Wey, P.Y. Tsui, R.H. Shyu, K.L. Tung, J.M. Yeh, D.J. Chiao and T.Y. Wu (2013) “Easy expression of the C-terminal Heavy Chain Domain of Botulinum Neurotoxin Serotype A as a Vaccine Candidate Using a Bi-cistronic Baculovirus System,” J. Virological Methods, 189(1), 58-64 (SCI). 11. Lin, Y.F., C.H. Chen, K.L Tung, T.Y. Wei, S.Y. Lu and K.S. Chang (2013) “Mesoporous Fluorocarbon- modified Silica Aerogel Membranes Enabling Long-term Continuous CO2 Capture with Large Absorption Flux Enhancements,” ChemSusChem, 6(3), 437-442 (SCI). 12. Nguyen, L.N., F.I. 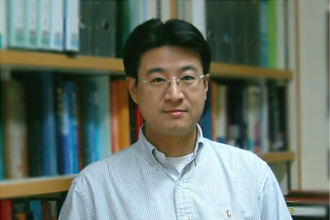 Hai, J. Kang, L.D. Nghiem, W.E. Price, W.S. Guo, H.H. Ngo, and K.L. Tung (2013) “Comparison between Sequential and Simultaneous Application of Activated Carbon with Membrane Bioreactor for Trace Organic Contaminant Removal,” Bioresource Technol., 130, 412-417 (SCI). 13. Lin, Y.F., J.L. Chen, K.S. Chang and K.L. Tung (2013) “Insight into the Roles of Ethylenediamine and Hydrazine for the Synthesis of ZnO Micro/Nanostructures using Solvothermal Process,” J. Nanopart. Res., 15(1), 1398 (SCI). 14. Tung, K.L., K.S. Chang and J.Y. Lai (2013) “Recent Advances in Membrane Morphology Characterization,” Curr. Opin. Chem. Eng., accepted (Invited Review). 15. Abdolali, A., H.H. Ngo, W.S. Guo, D.J. Lee, K.L. Tung, X.C. Wang, (2013) “Development and Evaluation of a New Multi-metal Binding Biosorbent,” Bioresource Technol., in press (SCI). 16. Abdolali, A., W.S. Guo, H.H. Ngo, S.S. Chen, N.C. Nguyen, K.L. Tung, (2013) “Typical Lignocellulosic Wastes and By-products for Biosorption Processes in Water and Wastewater Treatment: A Critical Review,” Bioresource Technol., in press (SCI). 17. Lin, Y.F., C.S. Wang, C.C. Ko, C.H. Chen, K.S. Chang, K.L. Tung and K.R. Lee (2013) “Preparation of Electrospun PVDF/Siloxane Nanofibrous Membranes Enabling Long-term Continuous CO2 Capture with Large Absorption Flux Enhancements,” ChemSusChem, 6(12), in press (SCI). 18. Chang, K.S., Z.C. Wu, S.J. Kim, K.L. Tung, Y.M. Lee, Y.F. Lin and J.Y. Lai (2013) “Molecular Modeling of Poly(benzoxazole-co-imide) Membranes: A Structure Characterization and Performance Investigation,” J. Membrane Sci., in press (SCI,). 20. Lin, Y.F., C.C. Ko, C.H. Chen, K.L Tung and K.S. Chang (2013) “Reusable Methyltrimethoxysilane -based Mesoporous Water-repellent Silica Aerogel Membranes for CO2 Capture,” RSC Advances, in press (SCI).